The subscription policy limit for resource type 'Total Regional Cores' was exceeded. The limit for resource type 'Total Regional Cores' is 4 per subscription, the current count is 0, and the requested increment is 17. The subscription policy limit for resource type 'Standard Dv2 Family Cores' was exceeded. The limit for resource type 'Standard Dv2 Family Cores' is 4 per subscription, the current count is 0, and the requested increment is 17. Please contact Microsoft Azure support to enable the required resources. You must increase the Cores quota for your Microsoft Azure account. Note that this procedure must be repeated for each subscription in this account. Go to this link and create a ticket. Note that if you use the Microsoft Azure (Classic) provider in the SAP Cloud Appliance Library, in this field you must choose Classic deployment model. SKU Family: select the value that is mentioned in the error message. For example, Dv2 Series. SKU Series, New Limit: enter the new quota that is needed for your instance. Details: Give more information about your problem. 4. In the Contact Information dialog, select add your contact information and choose Create. 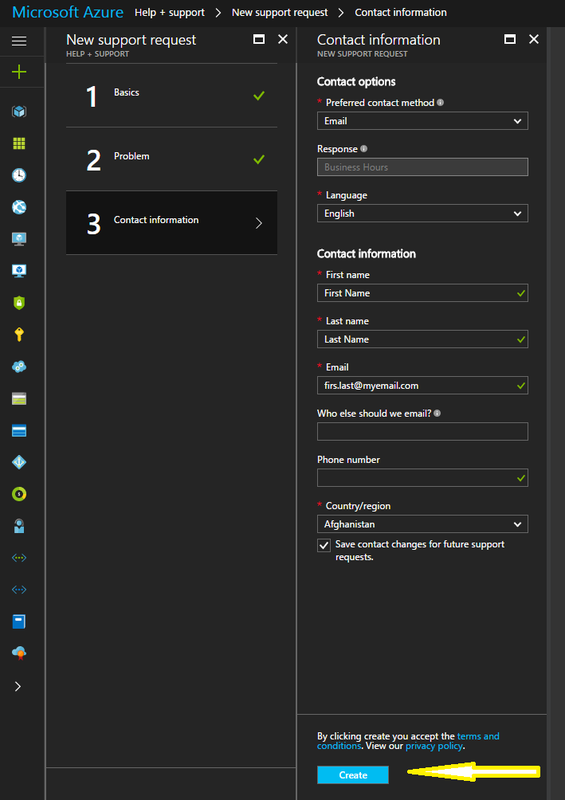 Then the Microsoft Azure Support Team will contact you by the contact method that you are selected in the form above. When the quota is increased in your subscription, please create a new solution instance in SAP Cloud Appliance Library. Did you select the location West Europe? Microsoft azure support solved our problem. We opened a non-urgent ticket using “general information” request type (explaining we couldn’t activate our SAP S4/HANA trial because our subscription doesn’t allow to deploy H16m VM). The subscription policy limit for resource type ‘Total Regional vCPUs’ was exceeded. The limit for resource type ‘Total Regional vCPUs’ is 4 per subscription, the current count is 0, and the requested increment is 36. The subscription policy limit for resource type ‘Standard ESv3 Family vCPUs’ was exceeded. The limit for resource type ‘Standard ESv3 Family vCPUs’ is 4 per subscription, the current count is 0, and the requested increment is 32. Please contact Microsoft Azure support to enable the required resources. 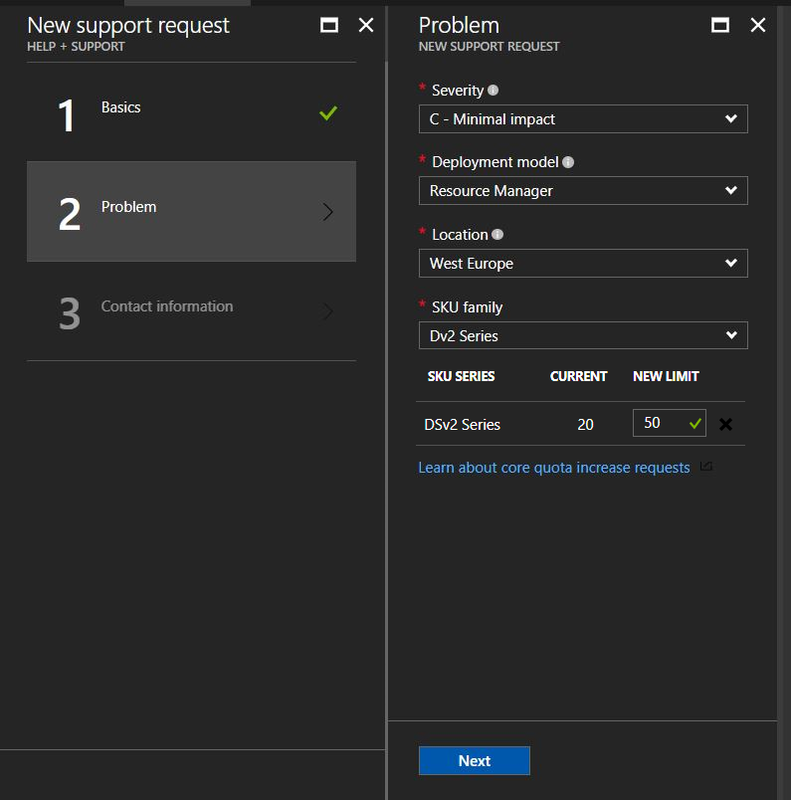 We already got in contact with MS Azure Support as described above and they are trying to correct it. Is it in any case necessary to “Terminate” the instance creation and create a new solution instance in SAP Cloud Appliance Library?! Or is it possible to finalize the instance creation via “Activate” instead?! SAP CAL recommends to terminate the failed solution instance and create a new one after successfully increase of Core quota by MS Azure support. The subscription policy limit for resource type ‘Total Regional vCPUs’ was exceeded. The limit for resource type ‘Total Regional vCPUs’ is 10 per subscription, the current count is 0, and the requested increment is 32. The subscription policy limit for resource type ‘Standard ESv3 Family vCPUs’ was exceeded. The limit for resource type ‘Standard ESv3 Family vCPUs’ is 10 per subscription, the current count is 0, and the requested increment is 32. Please contact Microsoft Azure support to enable the required resources. 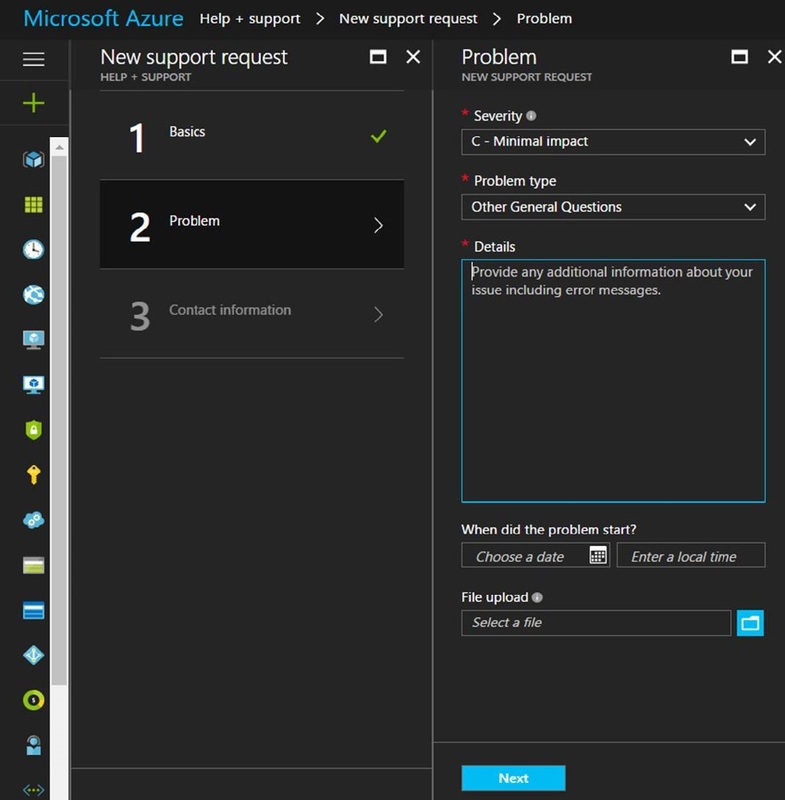 Hello, as the message says: “Please contact Microsoft Azure support to enable the required resources.” and describe which limits must be increased from the required needs. I might say this trial system is difficult to enable, we need to simply solutions honestly, Microsoft Azure is taking me from pillar to post. The subscription policy limit for resource type ‘Standard ESv3 Family vCPUs’ was exceeded. The limit for resource type ‘Standard ESv3 Family vCPUs’ is 10 per subscription, the current count is 0, and the requested increment is 32. Please contact Microsoft Azure support to enable the required resources. I am losing hope honestly. Which SKU family should I select to request for Quota increase for “Standard MS Family vCPUs”.